As a Costanoan Ohlone, Sayers continues to live in her ancestral land. California Indians suffered a brutal history of colonization, diseases and heinous violence and servitude during the Gold Rush and California Missions era. “In 1854 alone, the government spent 1.4 million – $5 a head, 50 cents a scalp for professional Indian killers,” says Sayers. As the population of Natives precipitously shrunk during the Gold Rush, the Canyon served as a safe haven for those who were able to find it after passing through a swamp. The canyon has a large arbor, where storytelling gatherings, cultural dances and ancient chants bring together Indigenous Peoples from around the world. The canyon receives thousands of visitors every year – from the Maoris of New Zealand to the Gwich’in of Alaska. “I can feel my ancestors dancing when there is ceremony,” Sayers says. The canyon is also home to the Costanoan Indian Research Inc., which has ancient tools and artifacts that were used by Ohlones and ancestors of Sayers. “It seems the society today is absent of the sacred. Many places that should have remained have been destroyed,” she says. Sayers has devoted her time to honor the legacy of her Ohlone ancestors and their sacred connection to land. Last year, she was involved in organizing efforts, where voters in San Benito County passed a measure to ban fracking. Sayers remains committed to educating and empowering youth to reconnect their sacred relationship to Earth. “Today, people are short-sighted. When you make a decision, think how this will affect the next seven generations. And we need our youth to start thinking this way.” Last year, Sayers was also instrumental in organizing “Ohlone Elders and Youth Speak: Restoring a California Legacy” an exhibit that illuminated the history of Ohlones and their efforts for cultural revitalization. Ann Marie Sayers was born and raised in Indian Canyon. 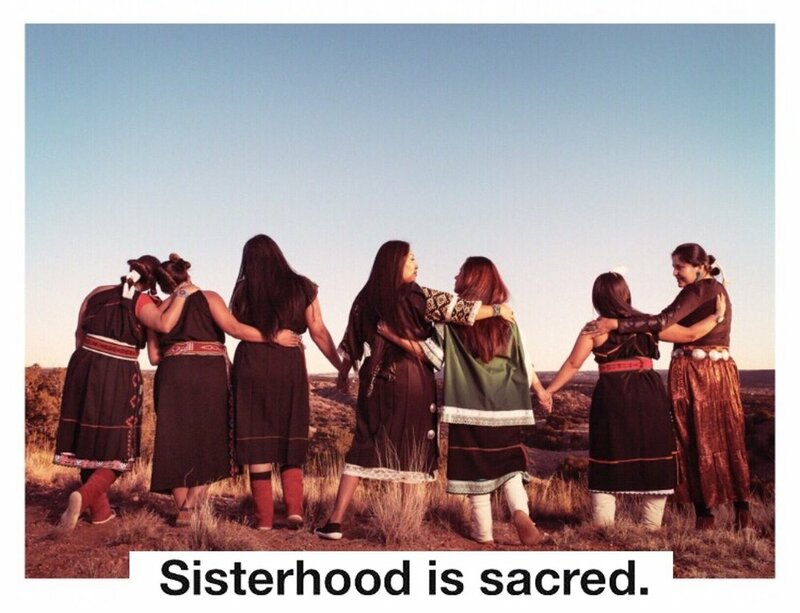 “Since Native Americans did not have the right to practice their religion freely until 1978, and so I opened up my great grandfather’s trust allotment for all Indigenous Peoples who are in need of traditional land for ceremonies,” shared Sayers.